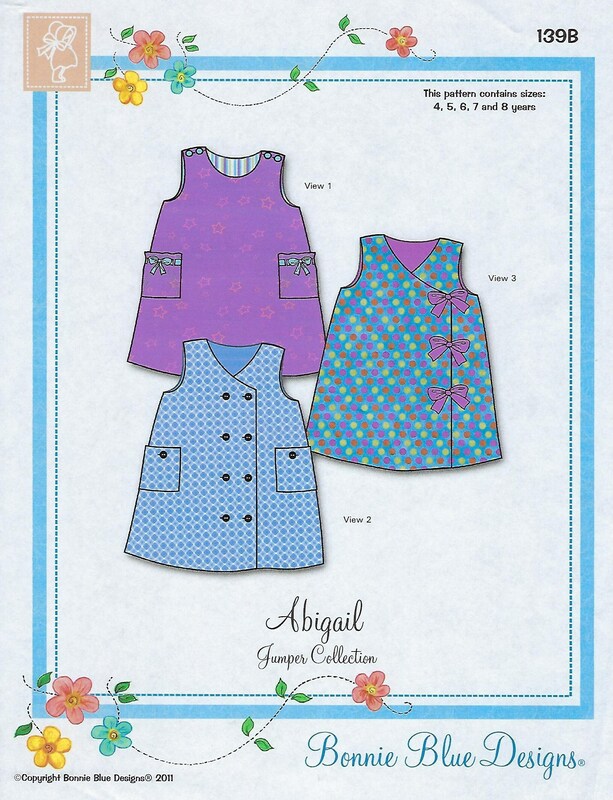 Package includes patterns and instructions to make Jumper and Dress Collection. 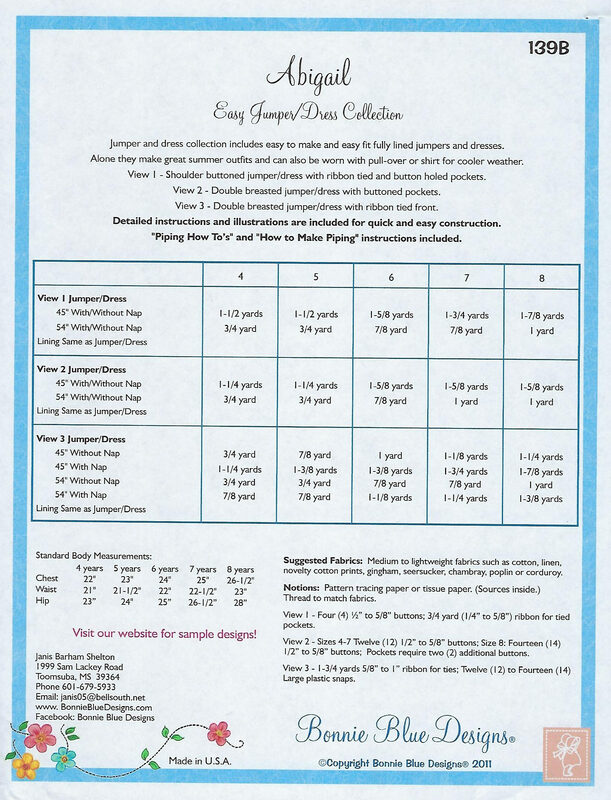 Jumper and Dress Collection includes easy to make and easy to fit fully lined jumpers and dresses. Alone they make great summer outfits and can also be worn with pull-over or shirt for cooler weather. View 1 - Shoulder buttoned jumper/dress with ribbon tied and button holed pockets. View 2 - Double breasted jumper/dress with buttoned pockets. View 3 - Double breasted jumper/dress with ribbon tied front. "Piping How To's" and "How to Make Piping" instructions included. 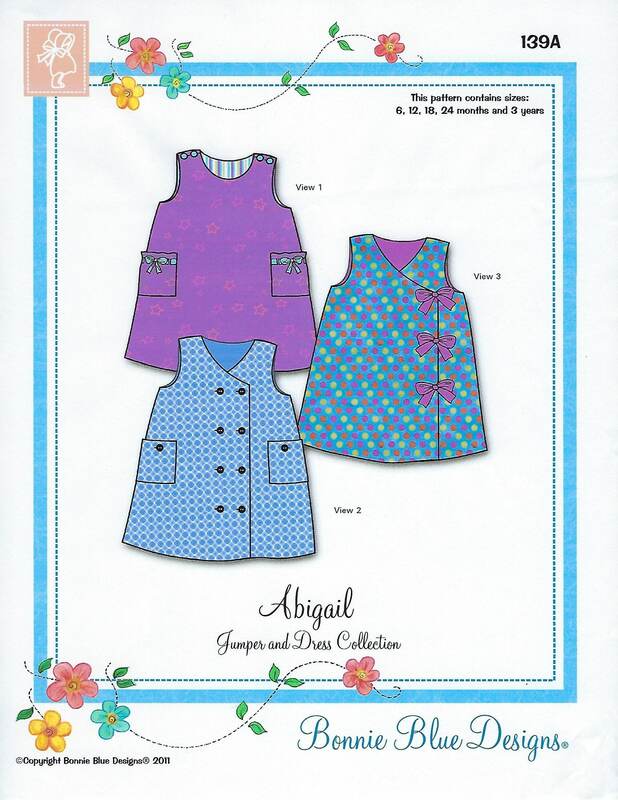 139A (6 mo, 12 mo, 18 mo, 24 mo, 3 yr) - All sizes included in one envelope. 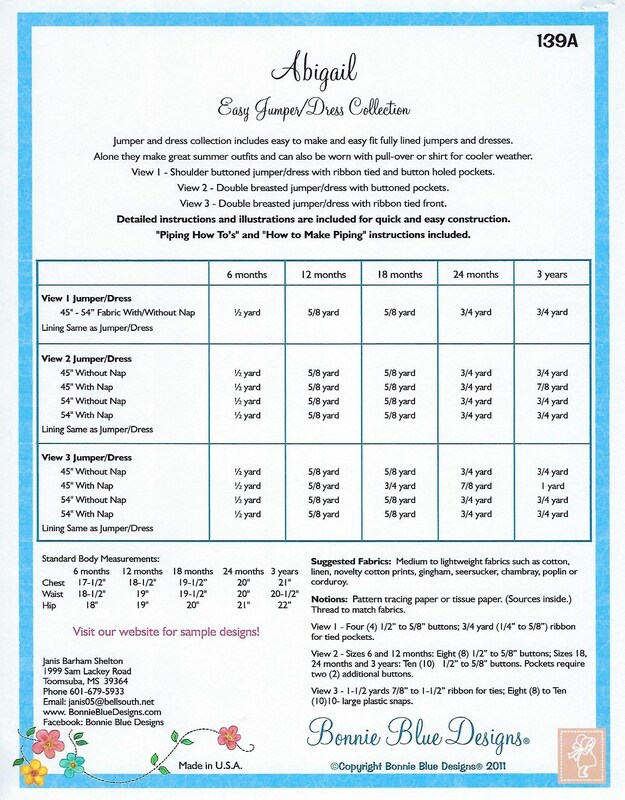 139B (4 yr, 5 yr, 6 yr, 7 yr, 8 yr) - All sizes included in one envelope.